Warhol was part of a very exclusive group of artists that the famous and influential New York dealer, Leo Castelli, represented. 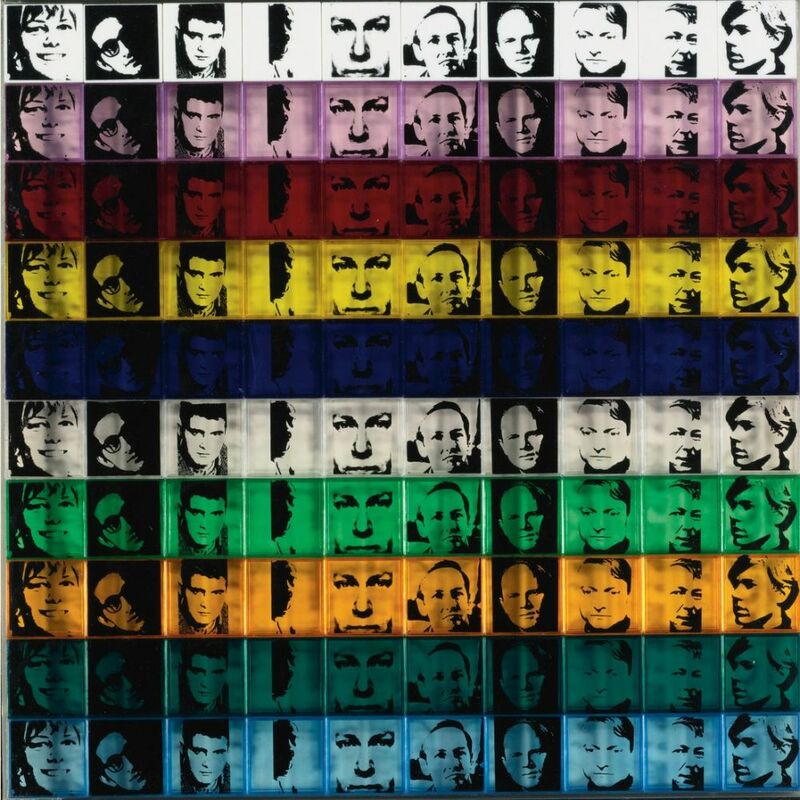 In 1967, Warhol created Portraits of the Artist 17 that depicts the portraits of 10 artists chosen and represented by Castelli. 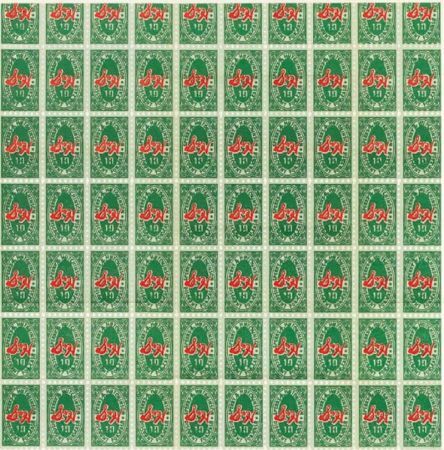 Sticking with his signature style of repetition, Warhol multiplied the artists’ portraits ten times in ten different colors on 3-D polystyrene boxes, each measuring at approximately 2” x 2”. The 100 boxes totaled to approximately 20” x 20” when lined up. The artists include Robert Morris, Jasper John, Roy Lichtenstein, Larry Poons, James Rosenquist, Frank Stella, Lee Bontecou, Donald Judd, Robert Rauschenberg and Andy Warhol himself. Contrary to popular belief, Warhol was not chosen by Castelli to create the work as part of an exhibition to celebrate the tenth anniversary of his Upper East Side gallery. According to art publisher Rosa Esman, there never was an opening. Additionally, the rumor that Warhol made extra boxes that includes other artists is a mere myth.